. 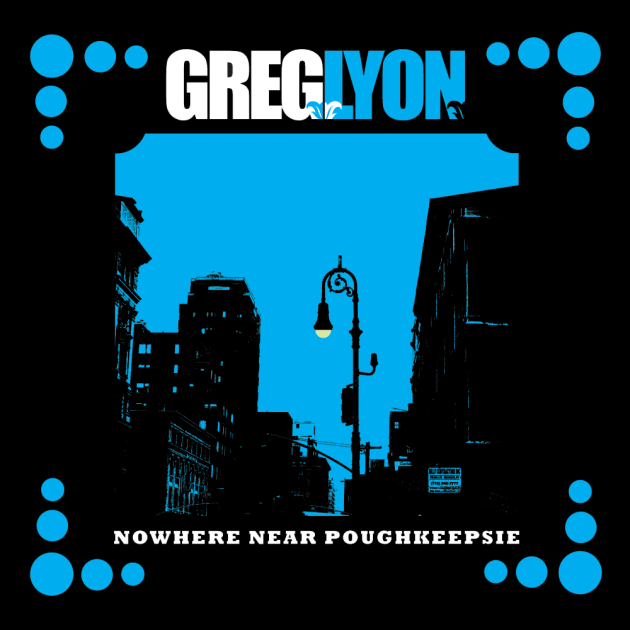 : Be Prepared: Greg Lyon | Nowhere Near Poughkeepsie | 4 Dec.
Be Prepared: Greg Lyon | Nowhere Near Poughkeepsie | 4 Dec.
We can't cite you chapter and verse everything that multi-instrumentalist, songwriter and Boston scene stalwart Greg Lyon has done in the last five years or so that we've been aware of his work. But we can tell you that his forthcoming solo set Nowhere Near Poughkeepsie -- whose songs are characterized in promotional materials as stuff that wasn't a good fit for the many, many bands he's played with -- is terrific, from the Grandaddy-esque title track to the stripped strut of the trebly rocker "Trainwreck." The 11-song record, largely recorded in a practice space with whichever cohorts were on hand, will be released by the mighty Boston and New York label concern Midriff Records on Dec. 4. A record release show is slated for the same night at P.A. 's Lounge in Somerville, MA, with support from rising noise rock foursome Soccermom. The December release date likely means Nowhere Near Poughkeepsie will be passed over as a contender for many year-end lists. Which is a shame, because the depth and breadth of the often sadly beautiful (particularly the ballad "The Best Of Times"), always carefully appointed indie rock Mr. Lyon collects here is worthy of more attention than we fear it will get. The songs eschew the literal and figurative heaviness of Lyon's work with Pending Disappointment, and are more tightly focused and tuneful than what we recollect from his work with other Midriff bands including Spanish Armada. You can stream all of Nowhere Near Poughkeepsie right here, and we recommend you do. These days we think Lyon is most often seen on area stages in his latest role as fifth man with Boston noise rock heros The Beatings, who perform this Friday at the Middle East supporting the completely wonderful Bottomless Pit.